Fantastic compilation of live in-studio performances recorded for the Montreal Sessions on CKUT 90.3. Artists include Element Kuuda, Sundrips, k.a.n.t.a.n.g.o., Dreamcatcher, Zachary Fairbrother, Rebecca Foon, and more. The performance share little in common except that they all defy any sort of easy genre categorization. Montreal Sessions airs every Tuesday from 3-5pm EST. See more info from the Free Music Archive on the station and show below. 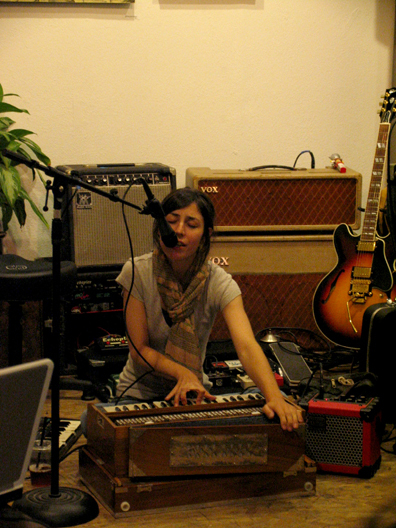 CKUT ‘s Montreal Sessions is an artist in residency programme that airs Tuesday afternoons from 3-5pm. Every month a sound new artist, musician, band, or curator takes over the 2 hour slot and programmes the musical selections, has guests in for interviews and live sets and/or has guests in every week for some free improvisation sessions thus turning the broadcast studio into a zone for experimentation and creation. This mix is a selection of some live epic live sets that happened on the show and or were recorded at ckut for air on the montreal sessions. CKUT’s music programmes run the gamut of genres and non-genres with a penchant for innovation and experimentation, niches of pleasure to titillate a variety of discerning listener’s tastes. Our broadcast studio is used as a zone for live experimentation, performance, and community involvement on a weekly basis. We don’t take ourselves too seriously and enjoy pushing the boundaries of what’s expected from a radio frequency. 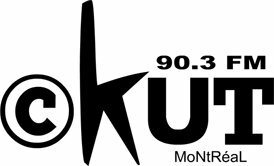 CKUT is one of the largest volunteer owned and operated Campus/Community radio stations in Montreal, broadcasting 5000 watts of power at 90.3FM from the radio tower that crowns the peak of Mount Royal. The terrestrial range of the broadcast signal reaches about 150 kilometres around the city, with live streaming and six months of program archives available at ckut.ca. CKUT is supported by the students of McGill University, community members, and listener’s from Montreal and beyond. CKUT is one of the the largest, if not the largest and most active Campus/Community Radio Stations in Canada. The station’s direction and programming is a result of the ideas and efforts of over four hundred volunteers who create live radio 24/7, 365 days a year. A volunteer owned and operated station, CKUT operates with a non-hierarchical collective management structure. CKUT’s programming is split into three categories with music occupying the largest portion of air time, and news and culture programmes providing the much needed space for marginalized voices and opinions. No traffic reports, story assignments, play lists, listener surveys, or demographics to cater to, CKUT ‘s programming content is entirely in the hands of our volunteer hosts and producers who have free reign over the content that they send out over the airwaves, ensuring that the station’s programming is not dictated by some self appointed taste maker. 95% of the programming produced in house.